The Presbyterian Archives Research Centre is dedicated to making our archives and records available and accessible for your research, locally, nationally and internationally. We undertake to support all researchers in their aim to gather as much information as is possible, from those undertaking academic theses to those researching their family. 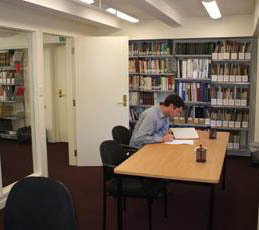 Our experienced Research Staff are available to discuss your research with you and guide you to the resources. We invite researchers unable to visit to send their inquiries by email, regular mail or telephone and the Research Staff will undertake your research on your behalf see our schedule of fees. Postal Address: Archives Research Centre, Knox College, Arden Street, Dunedin. Car Parking : Knox College provides a visitors’ Car Park at the bottom of Arden Street. There is a disability car park by the Archives Research Centre entrance. I am saddened to hear that St George’s Presbyterian Church, cnr Linwood Avenue and Gloucester Street has been demolished because it was so damaged in the February 22, 2011, earthquake. I attended church and Sunday School there along with my two sisters and two brothers in the 1950s. The Reverend Irving Rutherford conducted my mother’s funeral service in 1983.